Providing analytical services for material characterisation and determination of concentration of analytes of interest in bulk of the sample, on the surface, and depth distribution profile in organic and inorganic matrices. 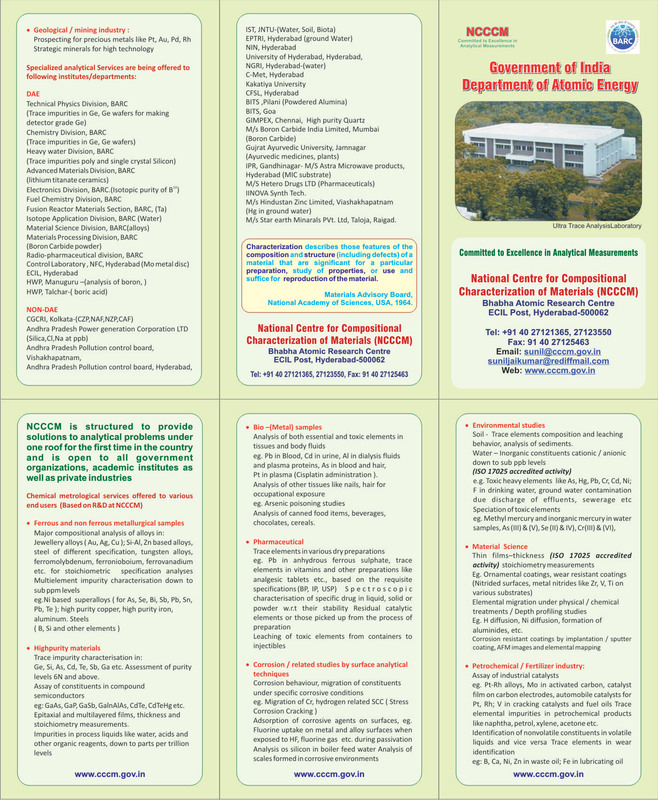 National Centre for Compositional Characterisation of Materials has been set up by the Department of Atomic Energy (DAE) under Bhabha Atomic Research Centre (BARC) as a premier institution for analytical chemistry to cater to the growing demand of material characterisation with respect to its composition in the country. Copyright © 2014. CCCM All Rights Reserved.